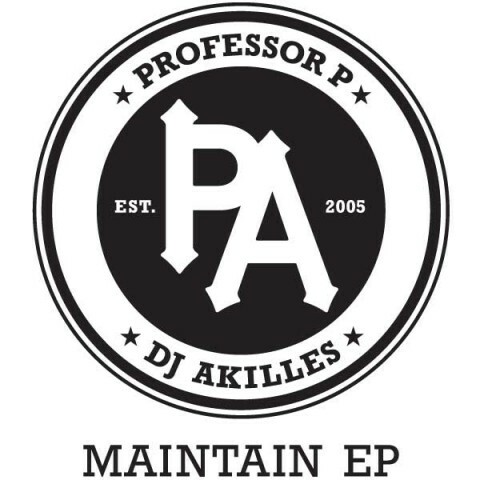 I onsdags förra veckan släppte Professor P & Dj Akilles sin nya EP, Maintain EP på vinyl. Första exemplaret såldes på tradera för 830 kr på tradera. Nu finns äntligen EP:n digitalt också så att alla som, i likhet med mig, saknar vinylspelare kan njuta av denna grymma EP! 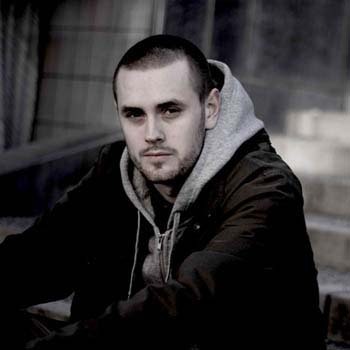 This entry was posted in Nyheter and tagged DJ Akilles, maintain ep, Professor P on November 9, 2010 by Daniel. 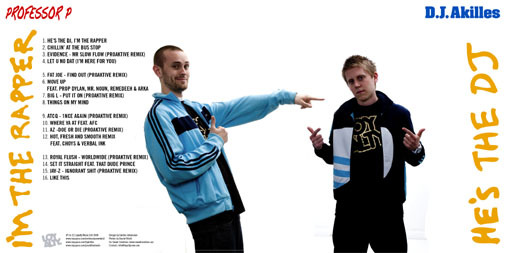 Professor P and Dj Akilles has been working together since 2005 and in 2007 they released Professor P’s debut album “Patience” through their label Loyalty. “Patience” was followed by the mixtapes “He’s the Dj i’m the rapper” and “Large Professor P”. Both mixtapes contained classic beats with new rap by Professor P, but now it’s finally time for some brand new material! On November 4 they will release a new EP called “Maintain EP”. “Do What’s on your mind” is the first single from the Ep and it features a guest appearance from Timbuktu (always nice to hear him rap in English). The EP will apart from Timbuktu feature a guest appearance Dj Static and the whole EP is produced by Professor P and Dj Akilles. The EP will be released on a limited edition vinyl on November 3 and digitally on November 4 and will be available on iTunes, Spotify, Amazon etc. The vinyl will be limited to a 100 copies which will be numbered and signed. 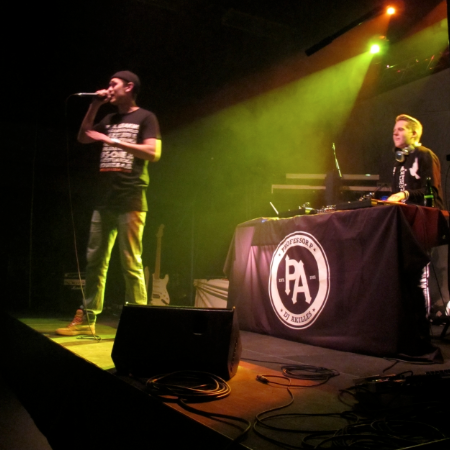 For more information and news about Professor P and Dj Akilles check out their blog! This entry was posted in Nyheter and tagged DJ Akilles, dj static, He's the Dj I'm the Rapper, large professor p, loyalty ent, maintain ep, Professor P, Timbuktu on November 2, 2010 by Daniel. After some trouble with their studio computer, Professor P and DJ Akilles has finally managed to get their studio in order so that they can start recording again. To celebrate this they’re releasing a newly recorded track called “From The Heart”. It’s recorded over a DJ Premiere beat which is called “Dink” and can be found on his record “Beats that Collected Dust vol.1.”. Dj Akilles and Professor P will soon begin work a new EP which, in their own words, will be the greatest and most sincere EP that Sweden has ever seen! The sound will be even older boombap mixed with great musicians, a lot of scratching and a few singers. I really like what I’ve heard from the good professor so far so I’m really excited about how the upcoming EP will sound like. This entry was posted in Nyheter and tagged Beats That Collected Dust Vol.1, DJ Akilles, Dj Premiere, From The Heart, Professor P on March 29, 2009 by Daniel. Fresh Prince and Dj Jazzy Jeff released “He’s the Dj, I’m the rapper” 20 years ago and now it’s Professor P and he’s constant producer DJ Akilles turn to release a mixtape with the same name (note, released some weeks ago). It’s a classic sound combined with lyrics from the present time. The mixtape contains seven remixes of famous hiphop tracks and a remix from a track at Pro P’s debut album “Patience”. Produced by Proffessor P and DJ Akilles for ProAktive Beats and guests such as Prop Dylan, Arka, Remedeeh, Mr. Noun, AFC, Choys, Verbal and That Dude Prince! You just gotta love this tape! Download it here! This entry was posted in Nyheter and tagged DJ Akilles, He's the Dj I'm the Rapper, ProAktive Beats, Professor P on June 25, 2008 by Niklas.